Every owner wants to protect their possessions regardless whether it is a bicycle, car, house or a yacht. 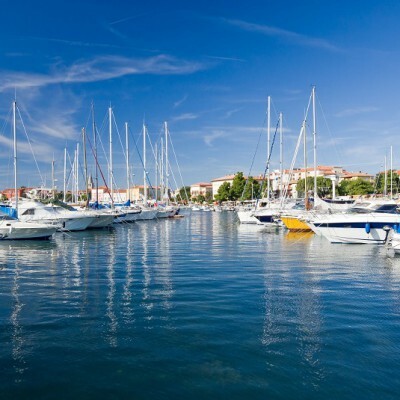 This issue becomes even more important when it comes to a yacht because it is, in most of the cases, moored in a marina away from the owner. The yacht could be damaged, robbed even stolen long before someone notices that something is wrong; especially during the winter resting time, out of sailing season. Even though marinas all over the world increase the level of security by implementing sophisticated 24/7 surveillance systems along with armed watch guards, many yachts still need something more. Parents who want to know what is going on with their kids when they are left alone at home usually hire babysitters, but what does a babysitter for yacht look like? The answer comes from Sentinel Marine Solutions, a small innovative company from Croatia. They created revolutionary and sophisticated, yet simple and efficient systems to watch over your yacht. The system consists of the central unit and a series of sensors placed on the yacht. Whenever sensors detect any change of state of the vessel, the owner would be alarmed through a mobile application. Yes, we are talking about smartphone application again. Do not underestimate the system as soon as you read the word smartphone. Sensors planted on your yacht can detect the drop of your batteries’ voltage. This might be crucial during the winter resting time because once the voltage is too low, your batteries are useless. Sensors would also notify you if your yacht changes its position. They can read GPS data and let you know if your yacht decided to go for ‘trial navigation’, as it is often called when mariners decide to take your boat for a fishing trip or private party without any authorization. Sentinel system is applicable to all types of vessels and had been severely tested before launching in August of this year. The tests showed high level of reliability while its software is ready to be used on every mobile device supported by iOS or Android operating system. For calm and carefree sleeping during wintertime find more information about Sentinel online and book your device for a good price.